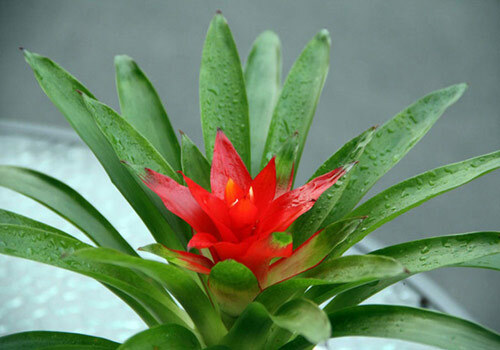 If you are not familiar to the houseplant called Bromeliad than you are missing out. These indoor potted plants are colorful and wonderful additions to the houseplant family. Bromeliad plants will flower. Their blooms are boldly colored and stunningly exotic. Each bloom is a spiky flower in lush red, yellow, pinks and orange. Many petals form each flower. The leaves also vary. From frosty looking light green to lush deep hunter green they are shiny and wide. 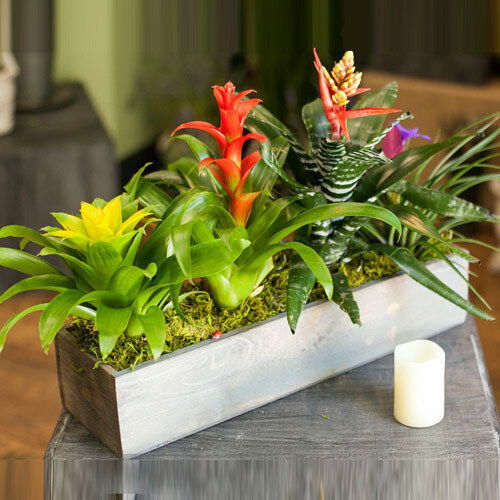 Like orchids, bromeliads are epiphytic, which means they grow on trees, rocks or other plants and get their water from the air and rain water. They do not get water from roots but their roots are what they use to attach themselves to the growing support. 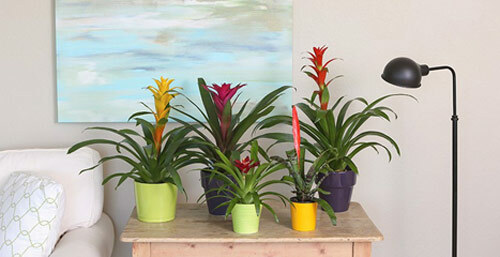 Potted indoor bromeliads are considered a low maintenance potted houseplant. They are a slow growing plant and may only bloom once in their lives and unfortunately die after they bloom. When it comes to watering don't water thru the soil. Keep the container potted soil dry and fill a center cup with water and they will stay happy. 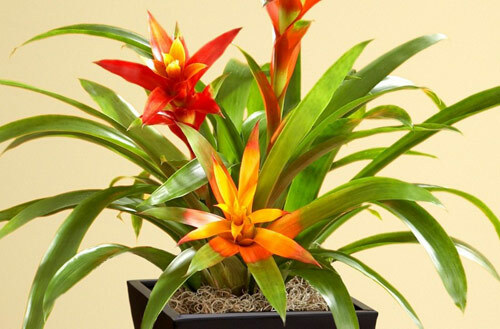 Since a container of bromeliad like humid air you should mist on a regular basis. If you prefer you can keep them in a bathroom or close to the kitchen sink where water is present. You can place a humidifier near the indoor bromeliad pot during the winter months when the indoor air is very dry from the furnace. When it comes to light potted bromeliad can survive in low light situations. Direct sunlight can burn the leaves so for best results place in a spot with lots of natural light. 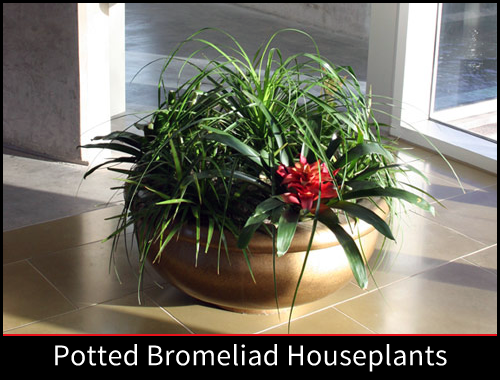 Potted Bromeliad make a wonderful addition to any house. Just research in advance so you give it the best chance to thrive and survive.